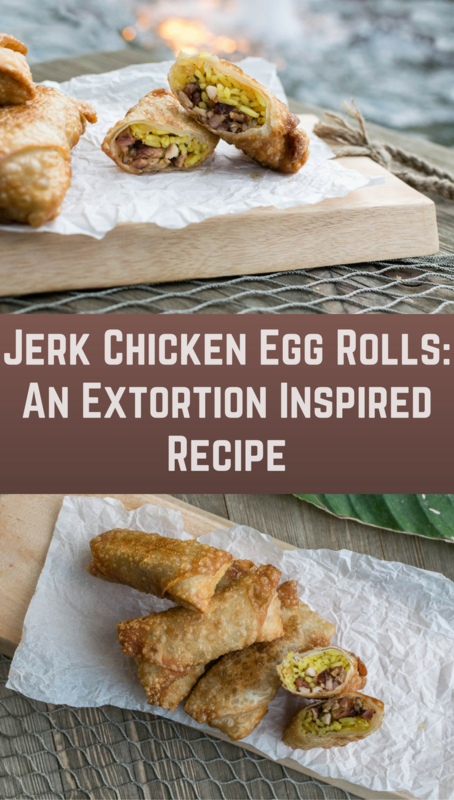 We were provided with a copy of Extortion to research theming for our Jerk Chicken Egg Rolls. There seems to be a tropical theme at Geeks Who Eat Headquarters this week. Our latest creation was created for the movie Extortion. The Caribbean location in the movie inspired us to create a delicious new appetizer (or main dish if that floats your boat, see what we did there?). Our Jerk Chicken Egg Rolls are not only easy but only require 5 ingredients! In Extortion, while at a Caribbean resort, Kevin Riley (Elon Bailey) and his family take a carefree boat ride that turns tragic when they’re stranded on an island. Near death, they’re rescued by a local fisherman (Barkhad Abdi) who demands a million dollars, then vanishes. Riley must race to find his dying wife (Bethany Joy Lenz) and son on an unknown island before their time runs out. 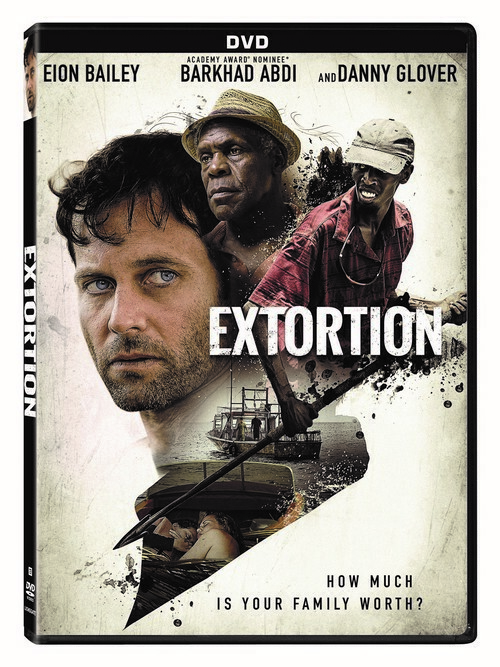 Also starring Danny Glover, Extortion shows that even paradise can be deadly. While parts of this movie are a bit far fetched, the intrigue this movie builds is great. A bit slow to start, Extortion eventually succeeds in getting you on the edge of your seat. 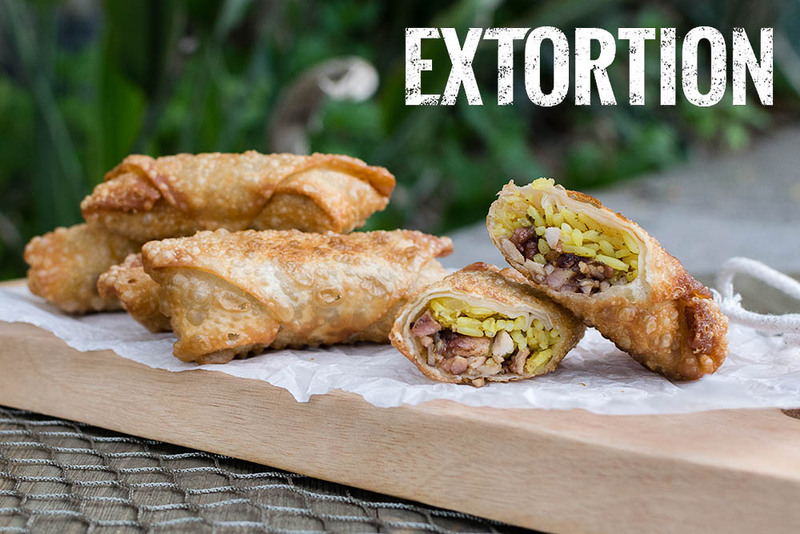 When we can up with our idea for our Jerk Chicken Egg Rolls we wanted to come up with a recipe that featured one of the Caribbean’s most iconic dishes. 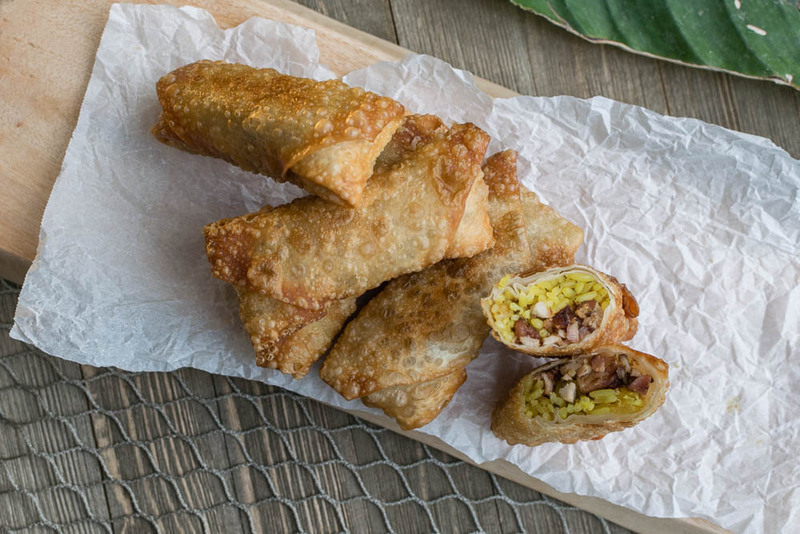 The Caribbean Rice by Zatarains adds some sweeter notes to the egg rolls as it contains pineapple. These egg rolls are a great movie snack or can even be served as a poolside snack for this summer’s pool parties! Do you have a favorite untraditional egg roll? Do you have another egg roll recipe you’d like to see? We’d love to hear your ideas! Leave a comment below or use the hashtag #GeekEats. Extortion is now available on DVD, Digital HD. and On Demand. Season chicken thighs with jerk seasoning and grill. In each egg roll wrapper put approximately 2 tbsp of rice and chicken. Seal and roll egg rolls. Once oil is ready, fry egg rolls until golden brown, about 2 minutes each side. Set on a plate with a paper towel to soak up excess oil. The Geeks were provided with a copy of Extortion for research purposes. Images and title treatments were used with permission. All opinions are wholly our own. View our Disclosure Policy for more info.